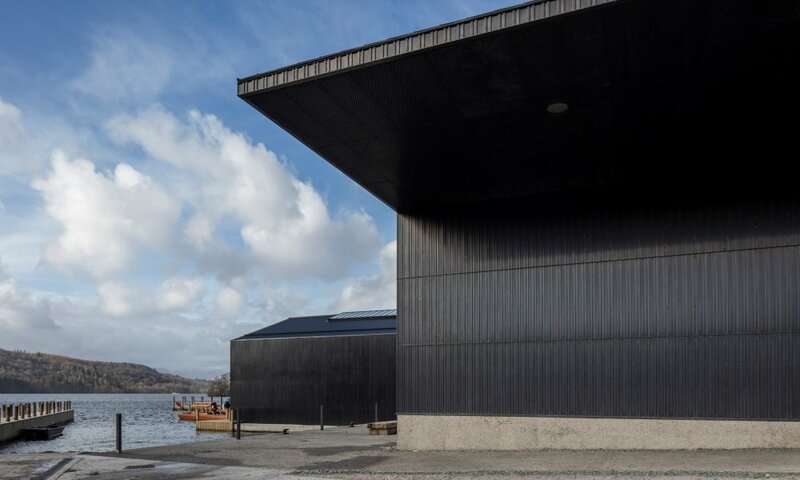 Located within the Lake District National Park and UNESCO World Heritage Site, Windermere Jetty is a cluster of seven buildings clad in copper that sit along England’s largest lake, which are some of the first contemporary buildings to be constructed on the shores of Windermere in more than 50 years. 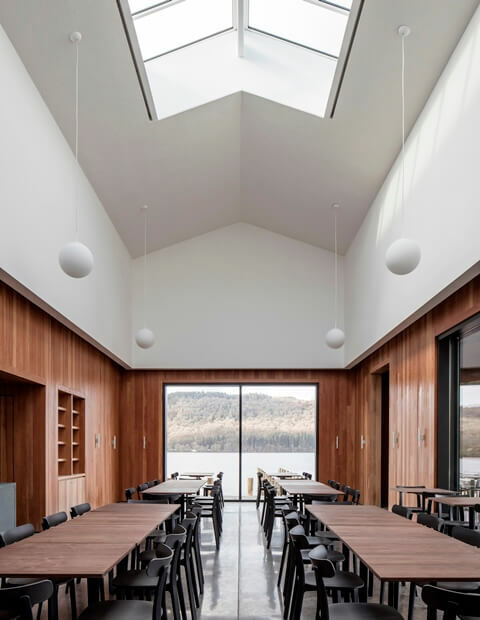 The museum has been designed by award-winning architects Carmody Groarke and principally funded by The National Lottery Heritage Fund. It sits on is on the site of the former Windermere Steamboat Museum, which was founded in 1977 by George Pattinson, a steam enthusiast who amassed the unique collection of boats which are all associated with Windermere. Lakeland Arts, which owns the museum, said the collection of more than 40 vessels is the only one of its kind in the world. “For the first time over half of the collection, which ranges from Victorian steam launches to record-breaking speedboats from the 1980s, has gone on display,” it says. 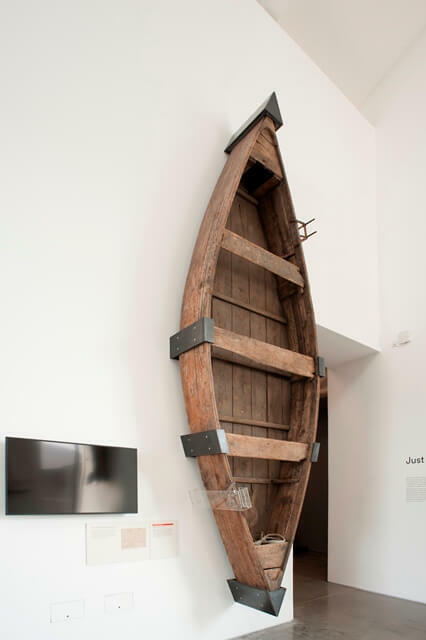 Vessels in the collection include SL Dolly, thought to be the oldest mechanically powered boat in the world, Beatrix Potter’s tarn boat which she used to sketch in, and the 50-foot luxuriously designed Victorian steam launch Branksome (1896). A series of new jetties on the lake allow visitors to sail on Osprey (1902), one of the museum’s fully-restored Edwardian steam launches and enables the regular lake cruise boats to dock and bring visitors to the museum. The museum opens with five themed displays designed by Real Studios: Just Visiting, Life of Luxury, War & Innovation, Spirit of Adventure and Speed each tell unique stories of the people whose lives are linked to the collection. These include steel magnate Henry Schneider who used his yacht TSSY Esperance (1869), to commute to work. 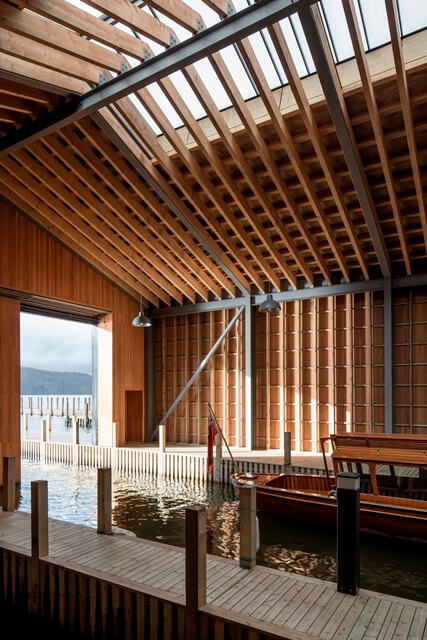 These stories tell visitors about the craft and history of boat building on Windermere and the fascinating and eventful personal stories behind the collection. 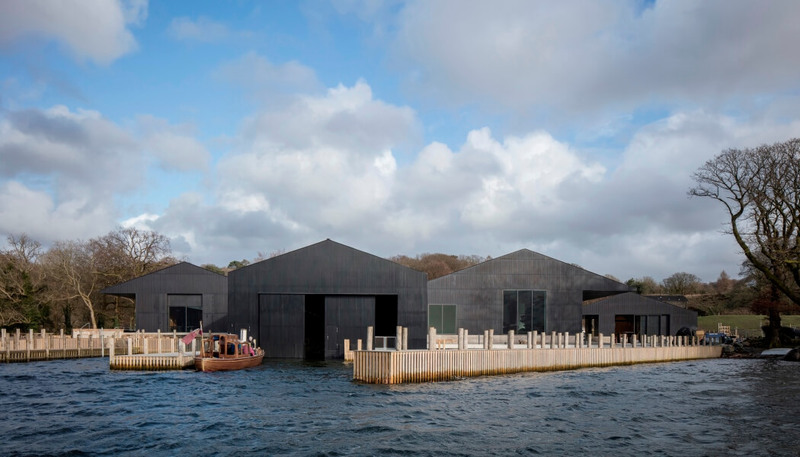 The museum also features a unique open access conservation workshop where visitors can watch a team of skilled conservation boat builders conserve and restore vessels that would otherwise be lost to history. The team use traditional boat building, engineering and boat finishing skills and extend the skills and opportunities through training, apprentice and volunteer programmes that train the next generation. The museum will showcase the quality of their work as visitors will see live conservation and the finished boats on display and on the lake. The National Lottery Heritage Fund is the major funder for the museum, contributing over £13 m to the project, raised by National Lottery players. The project is also supported by the DCMS Northern Cultural Regeneration Fund, Regional Growth Fund, the Rural Development Programme for England and other trusts and foundations.